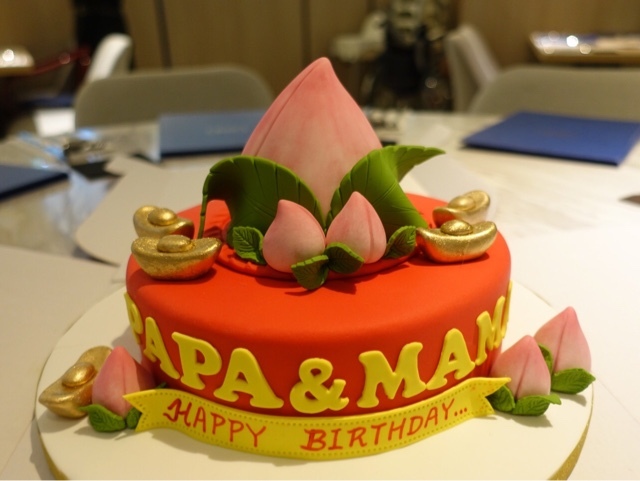 First thing first, happy birthday in advance to my dearest parents! 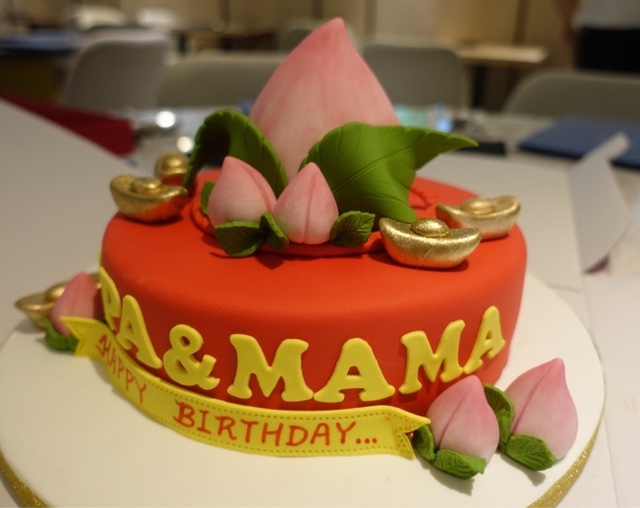 *muacks* Over the weekend, we had an early celebration at Ante, One Utama. Beside the amazing foods, what steal the limelight was the stunning customized cake I ordered from Catherine Cakery. 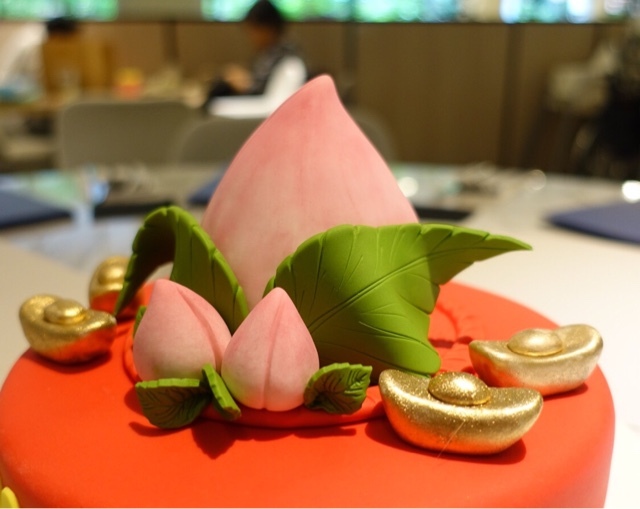 I requested for a 3D longevity peach cake design with gold ingot to symbolise long life and prosperity. 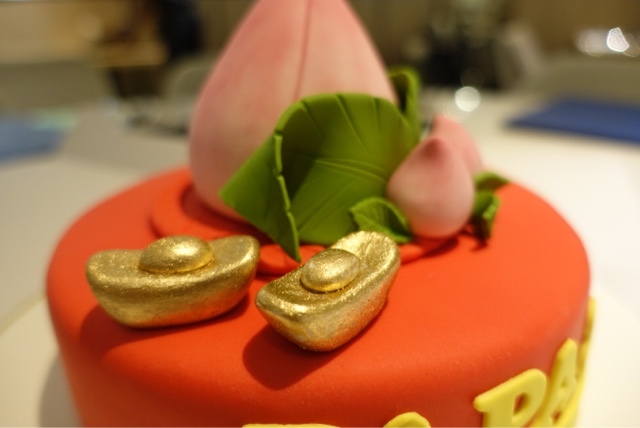 The cake features one huge peach alongside few tiny peaches and gold ingot has such amazing detailed design. Close up on the cute gold ingot. I highly recommend Catherine Cakery for customized cake.. It was my first time ordering from them and I am extremely satisfied with their service. The price of my 1 kg customized Chocolate Moist fondant cake is RM280. 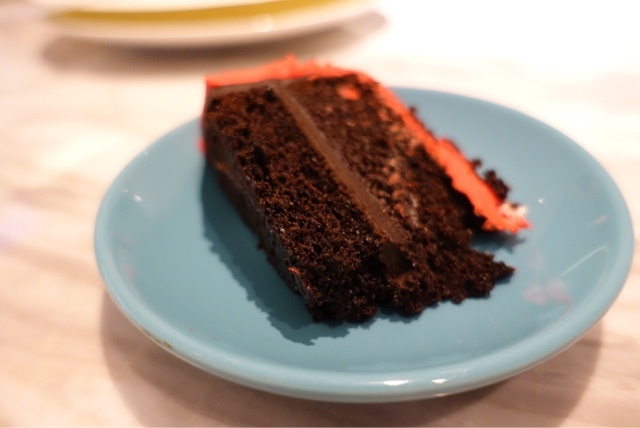 Pricing varies according to the complexity of the cake design and flavor. Kindly log on to Catherine Cakery Facebook for more photo of her cakes and information. Do note that order must be placed 2 - 4 weeks in advance and they also cater for customized themed parties. niCE cake :) too late now. daughter bday next week . This is such a beautiful and adorable cake! I love the look of the fondue design. But does it taste good? I tried a few that was not so nice so I stop buying fondue cakes. 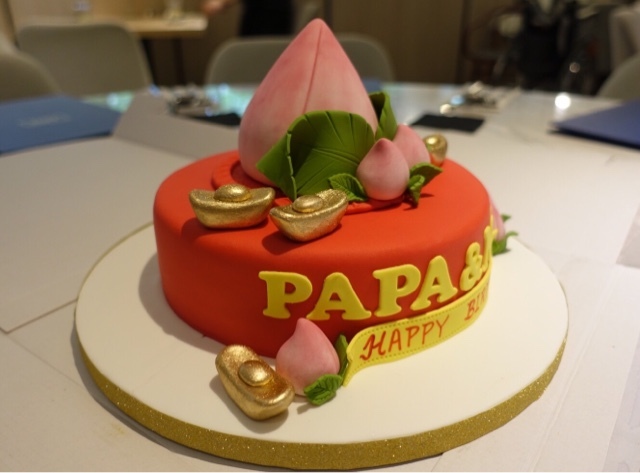 The design and details of the cake match with the theme that you want! Super delicate details and peaches on the cake!! love the special cake design. happy birthday to your parents! so unique and pretty.. make for birthday , or special occasions, sure memorable! 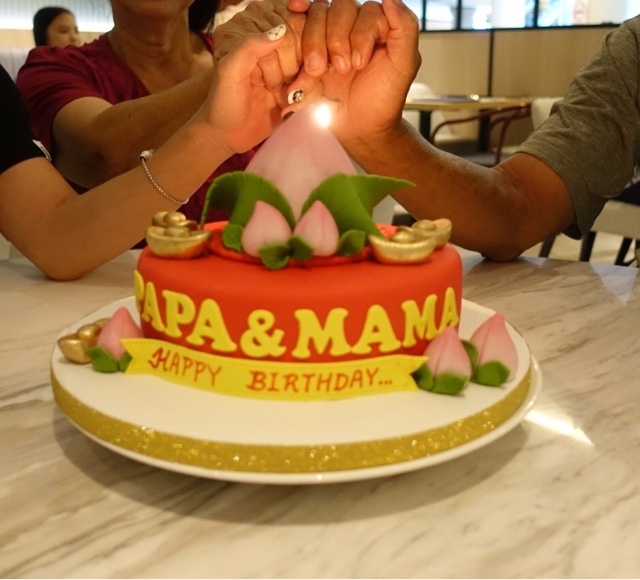 Such a nice cake for your parents birthday. Beautiful cake.Would love to order something like this for important occasions..
wow...the cake so nice!! !i love the design!!! The design is very nice. I love it but the price is a little expensive. Happy Belated birthday to Uncle and Aunty. The cake design look so cute. Gorgeous cake! The gold ingots looks real too! That is such a beautiful cake. Happy Belated birthday to your parents.